Experience the unique traditions that make Iceland a magical and fascinating destination to visit for New Year. On this 5-day tour explore the country’s capital. Head out in search of the Northern Lights on an off-road Superjeep adventure and head out on New Year’s Eve to see how the locals celebrate with a a city full of bonfires and fireworks before joining them to celebrate in inimical Icelandic style. Arrive in Iceland. Transfer to the 4-star Fosshotel Reykjavik and check in for four nights. In the evening meet your Superjeep guide and driver and head into the countryside in search of the northern lights. Have the day free to explore Reykjavik – a charming city filled with museums and art galleries, sights of historic interest plus any number of shops, restaurants, cafes and bars. Alternatively you could book an optional excursion – whale-watching, the Blue Lagoon and tours along the picturesque south coast available, or take the chance to ride the unique Icelandic horse – the only breed in the world to boast a fifth gait. 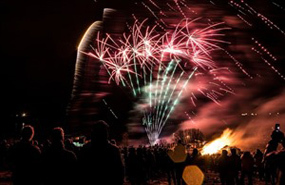 Have the day free to explore or take an optional excursion (just ask for the various options) and in the evening join a Bonfire & Christmas Lights Tour to celebrate with Icelanders at the bonfires that are situated all over the city. After the tour celebrate the coming in of the New Year with the locals who treat the occasion as a real party to kick-off 2019. 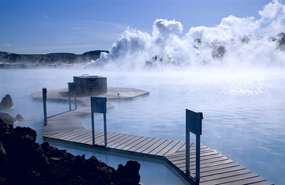 For your last full day in Iceland you may want to take things easy after the celebrations of the night before, and there are few better ways than relaxing in the geothermally heated waters of the Blue Lagoon (pre-booking essential). 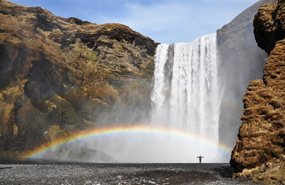 Situated about a 45-minute drive outside of Reykjavik the silica-rich waters will help sooth any sore heads and are an iconic Icelandic land-mark and must-see destination. Alternatively join those energetic enough to have got up (or those who haven’t made it to bed yet) and enjoy post-party Reykjavik.